Oogie Boogie is the most curious and attention seeking baby in the litter. 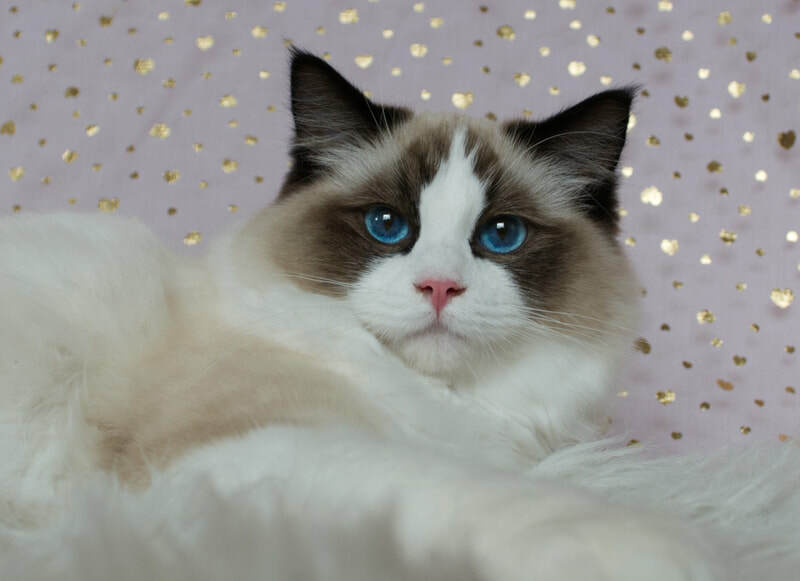 He has such a colorful and amazing personality! 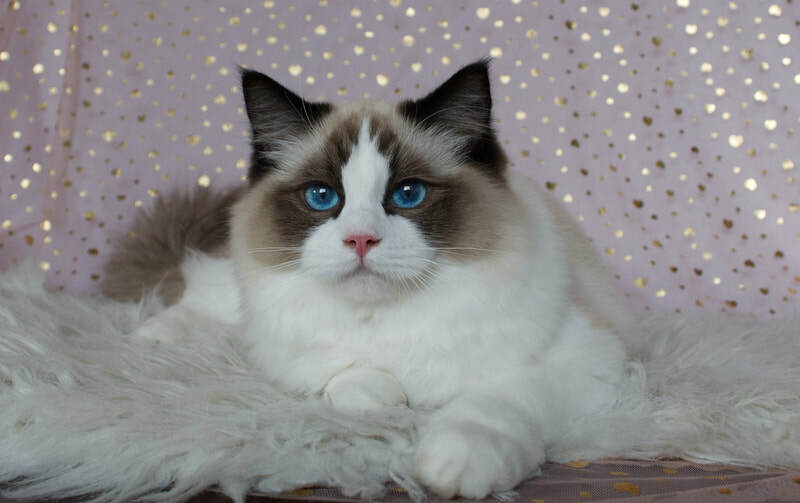 He loves being held and carried around, cuddling in my lap, and he meets us at the door like a little puppy when we come home! 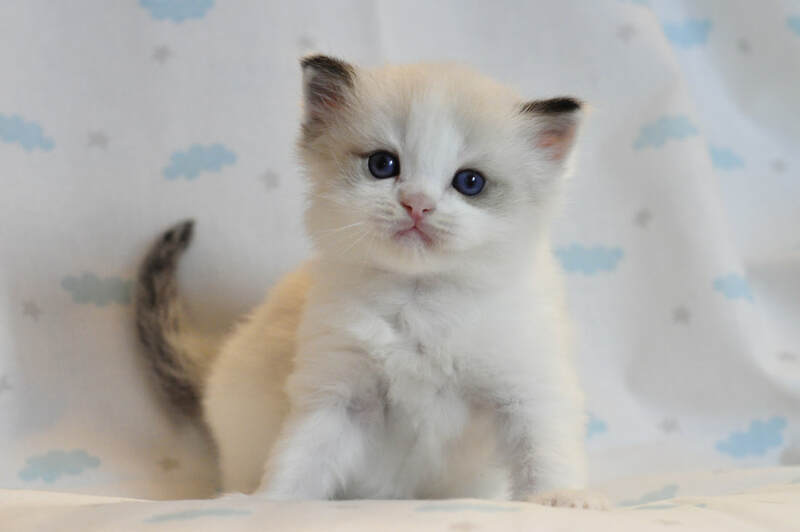 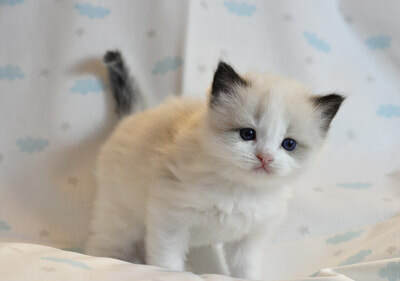 He is endearingly mischievous and loves to climb on legs and fight his siblings ♥ He is much lighter in colour than his siblings, and is perfectly marked with no spots on his legs or white on his points. 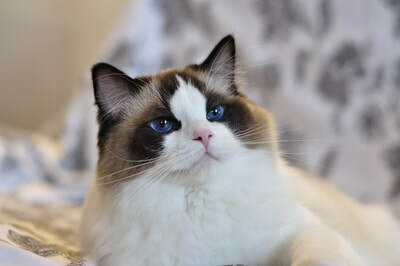 Oogie Boogie now goes by the name Neko, and lives in central Oslo with his new family and a Scottish straight brother named Maru! 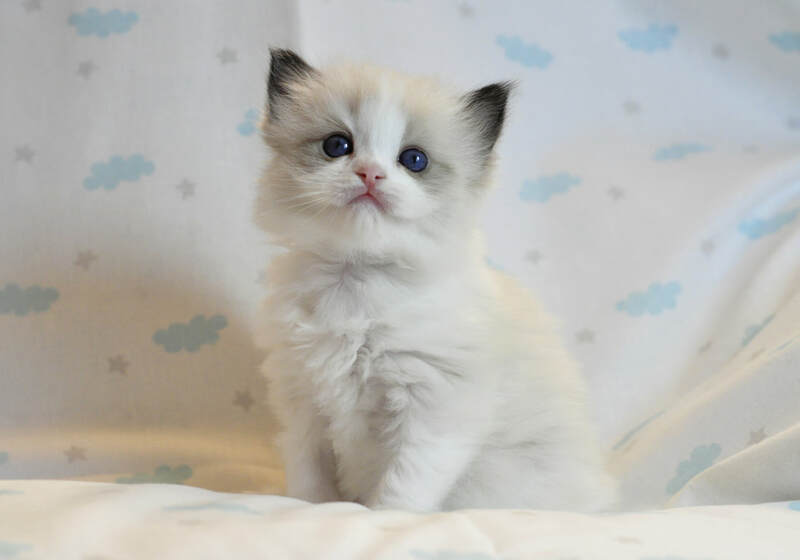 Fink is such a special little boy! He was Oogie's partner in crime, and if he wants to go somewhere he's not supposed to be, he will do it. He is so adorably fat and fluffy ♥ Fink has such a great temper, and loves long cuddle sessions in our laps. 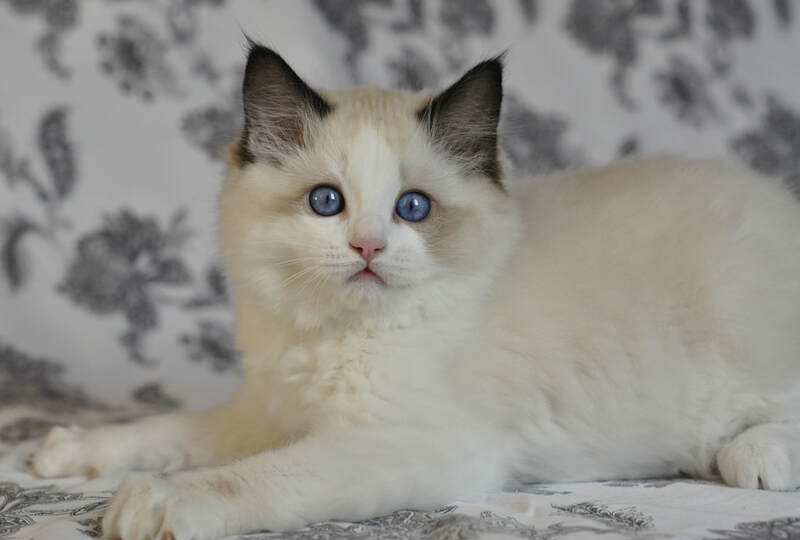 He is very nicely typed, with a nice broad head, great ear placement, eye colour and a big, strong body. 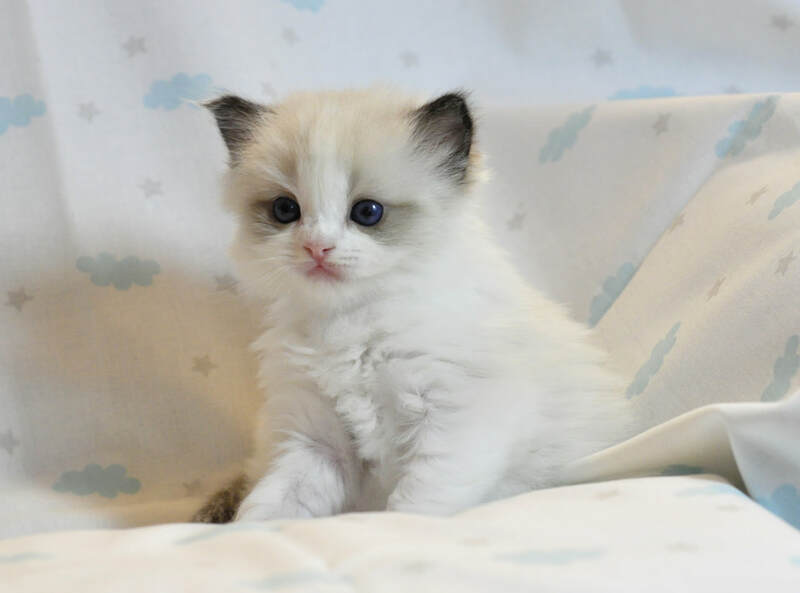 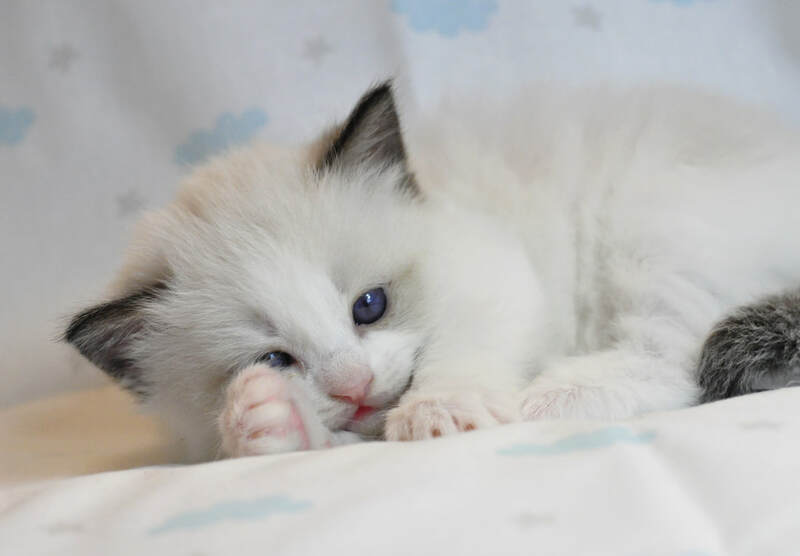 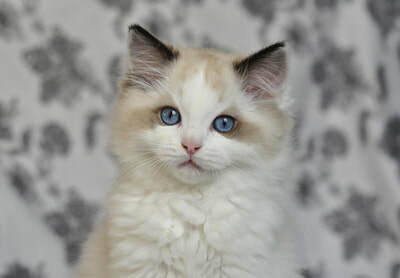 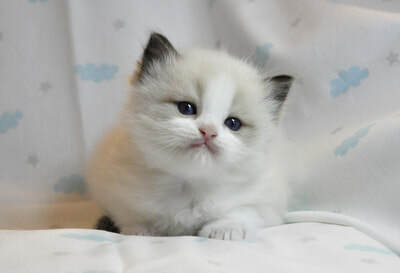 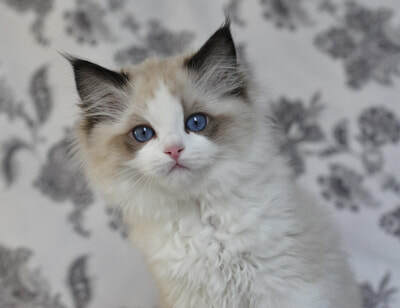 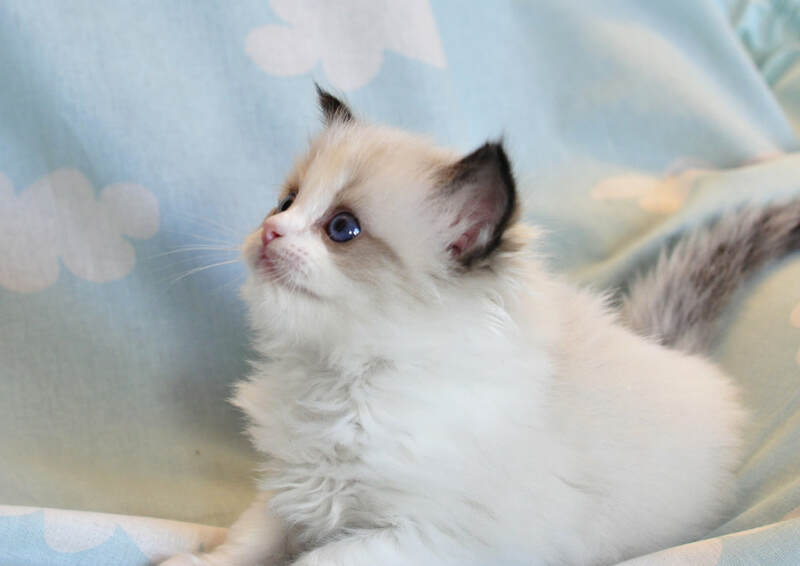 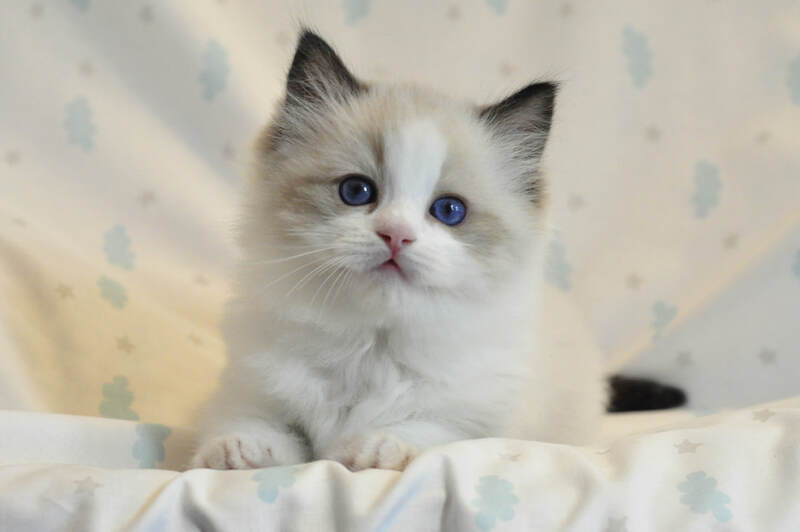 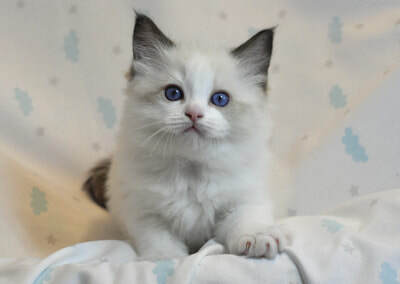 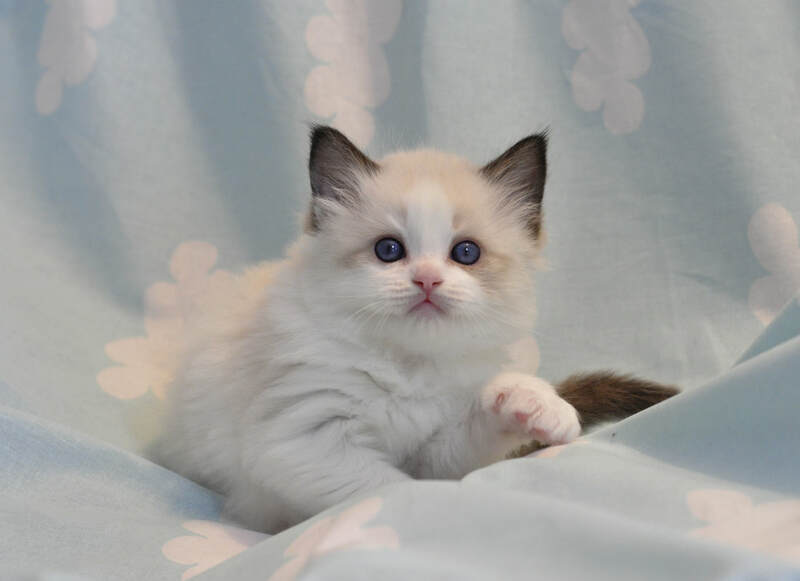 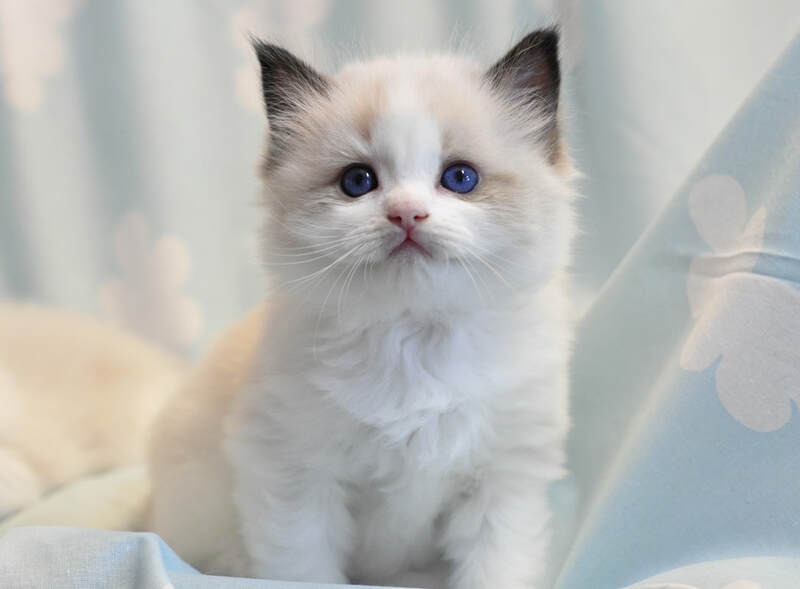 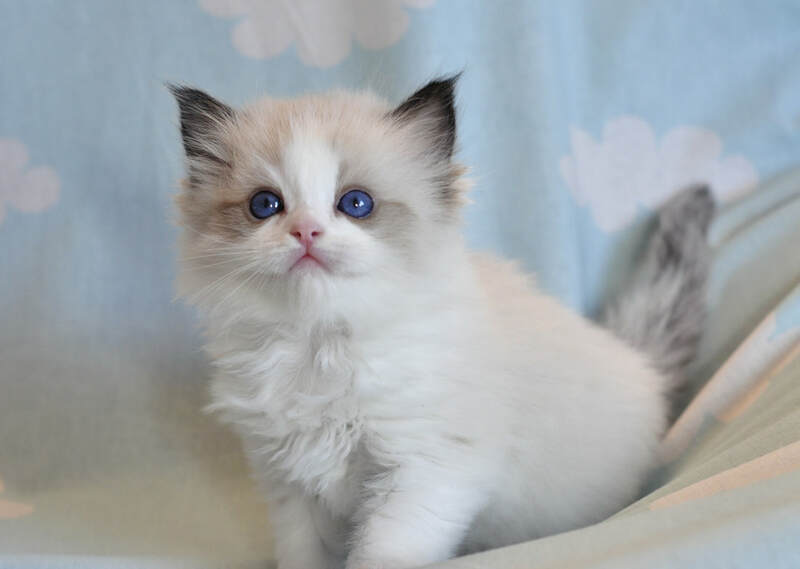 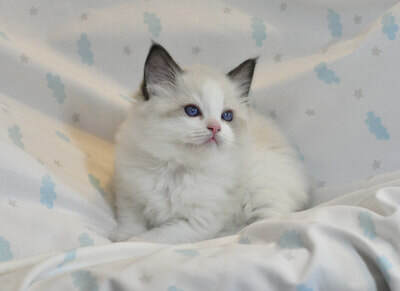 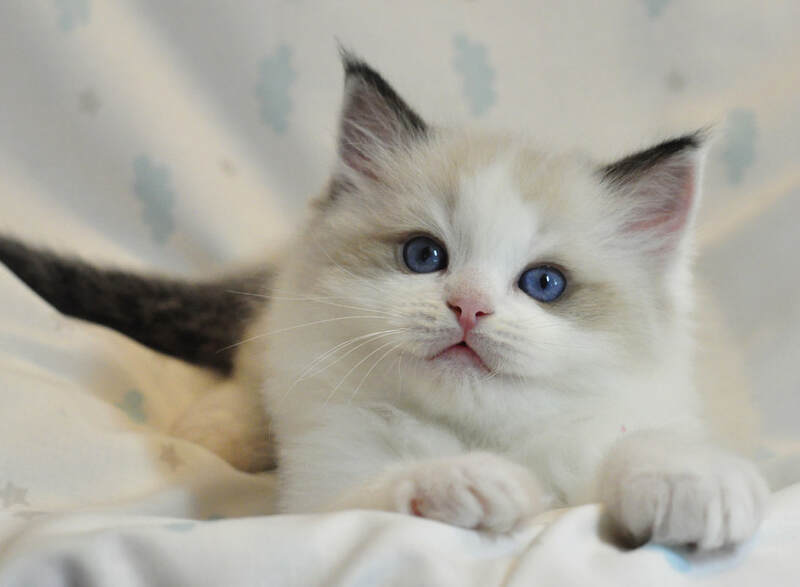 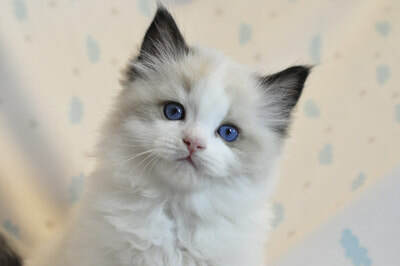 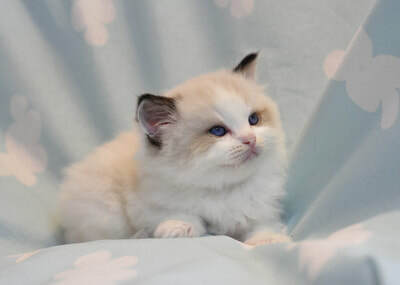 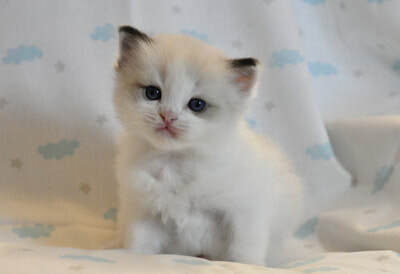 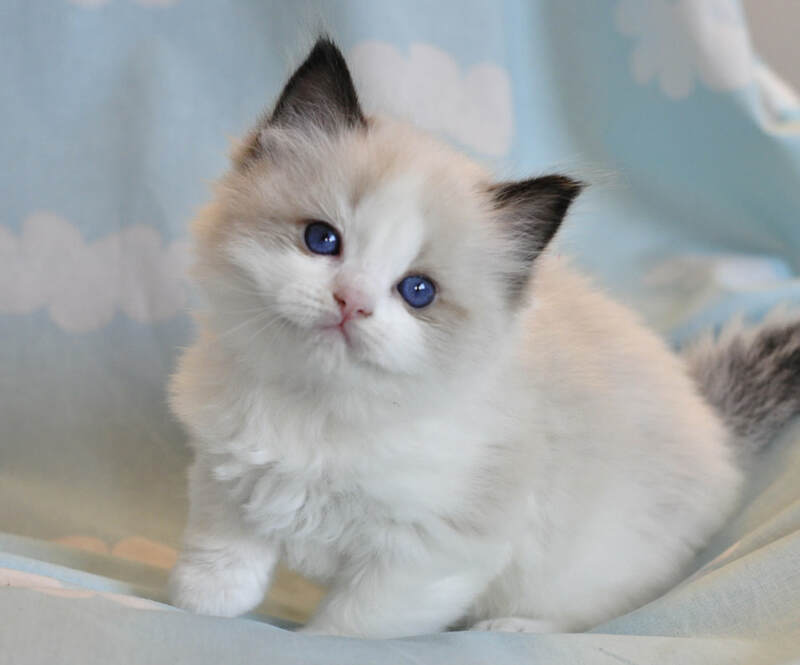 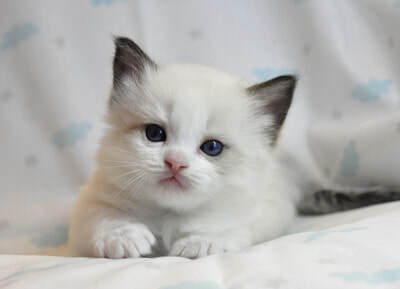 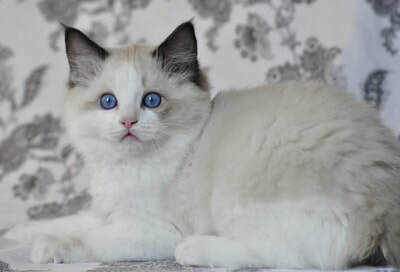 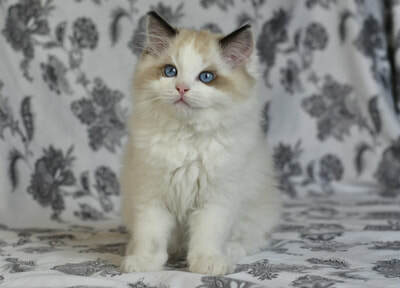 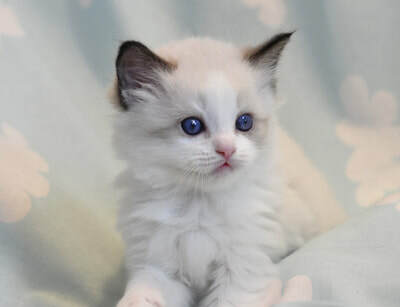 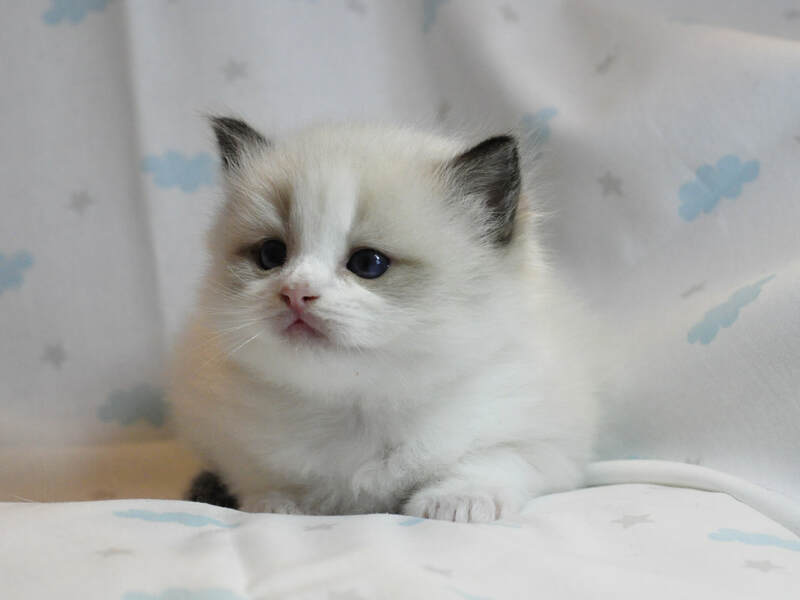 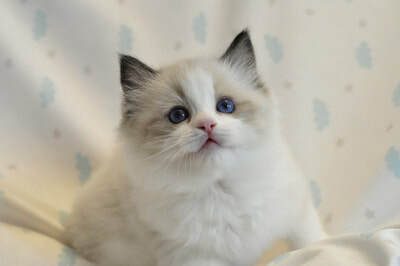 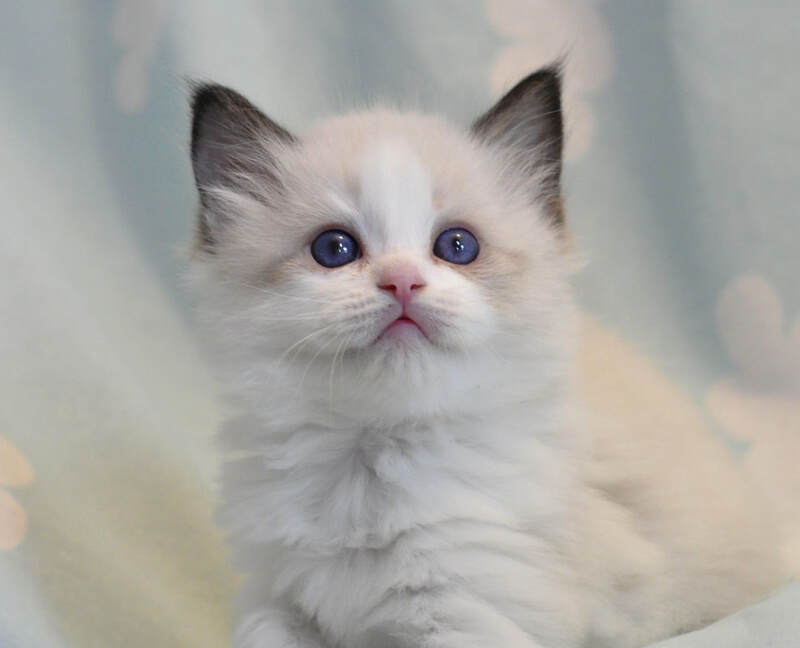 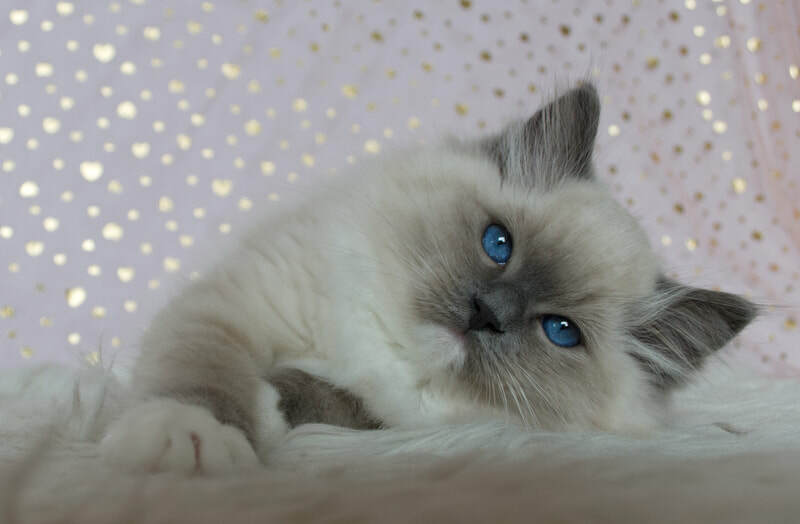 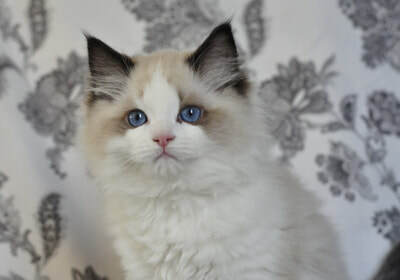 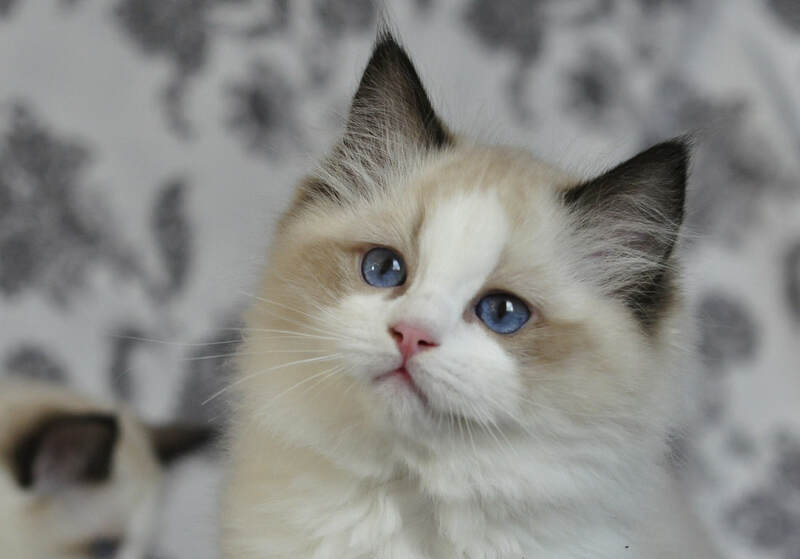 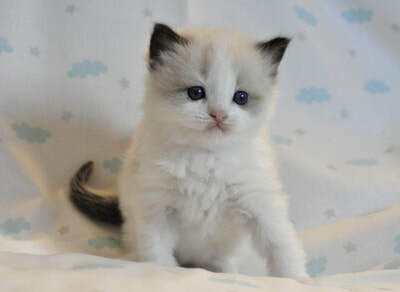 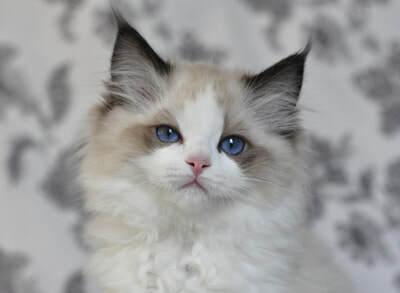 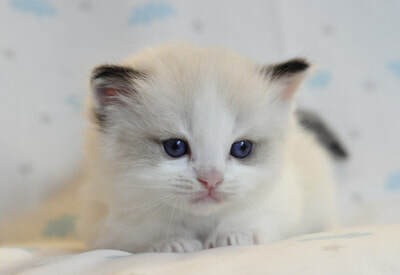 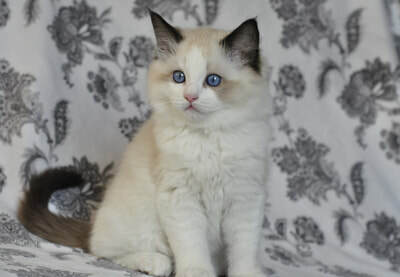 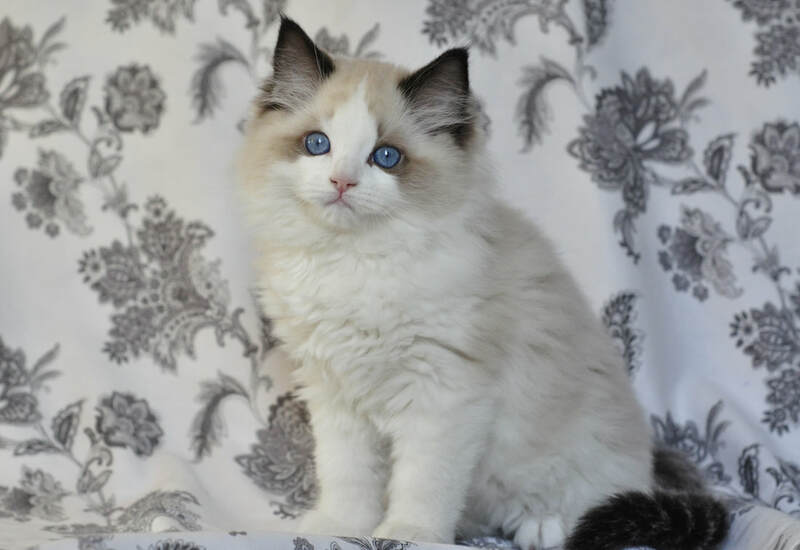 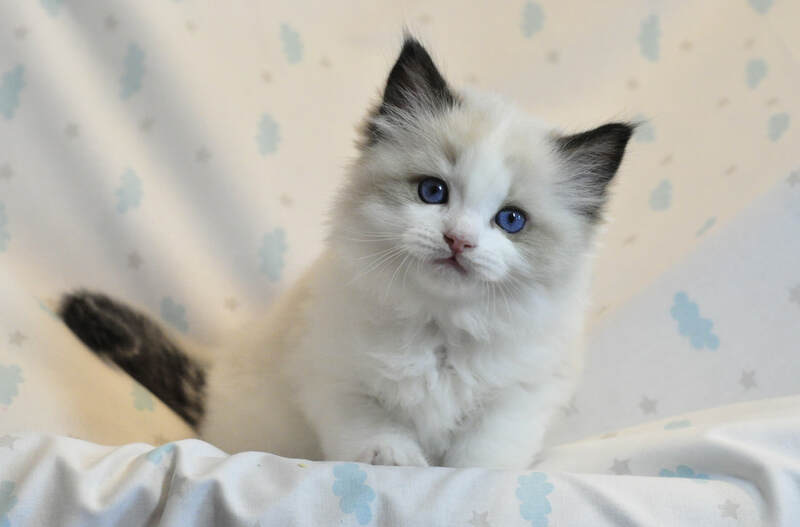 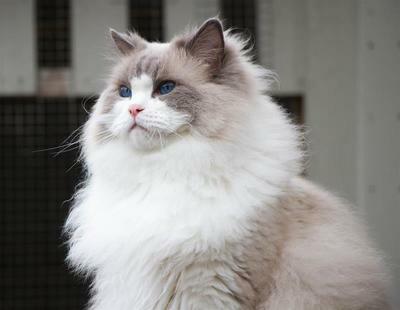 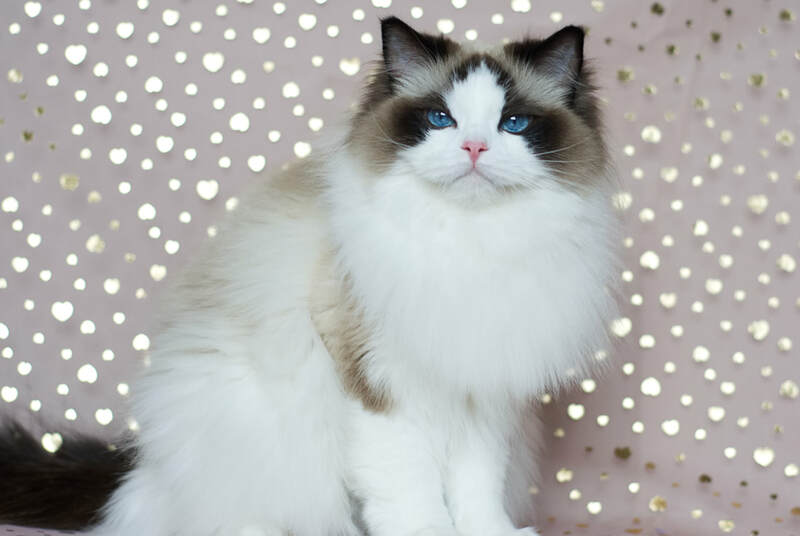 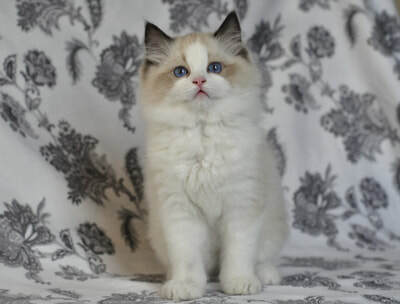 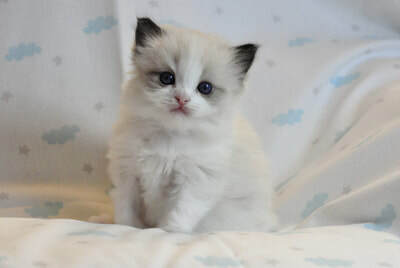 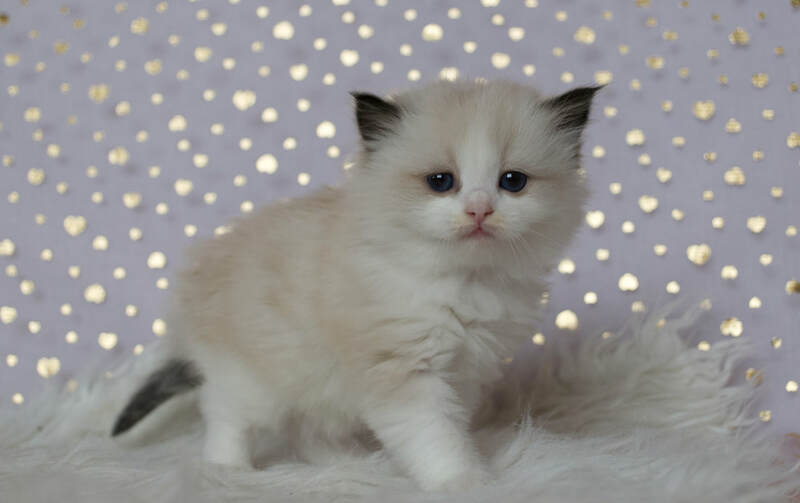 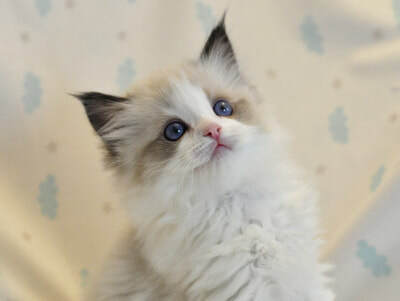 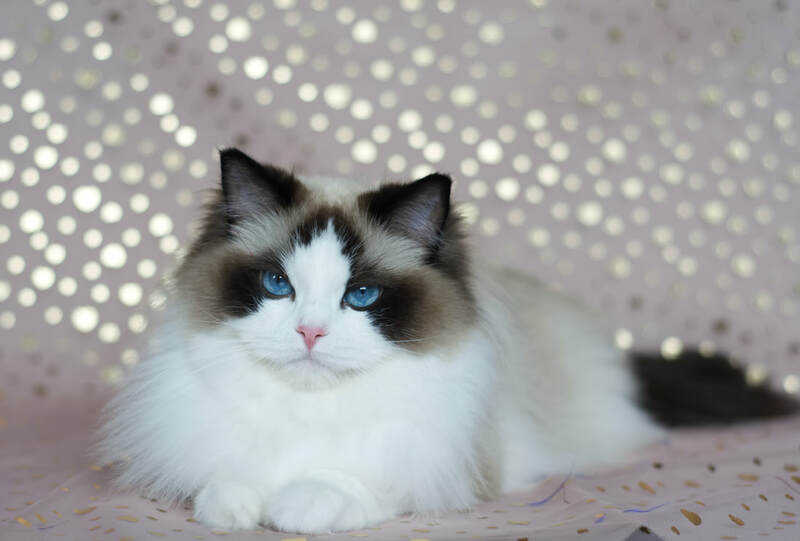 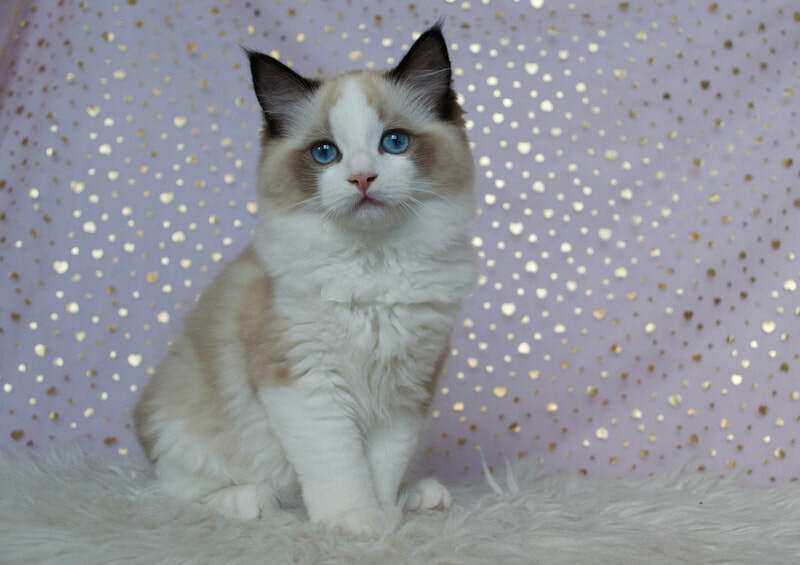 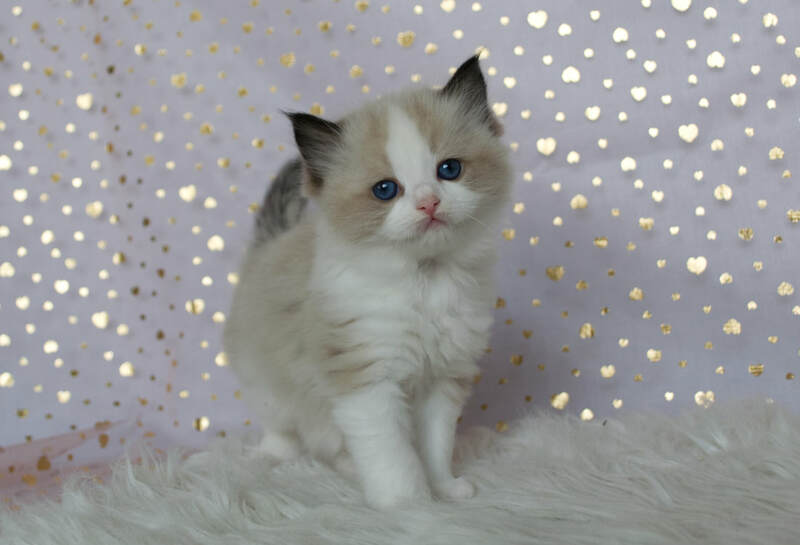 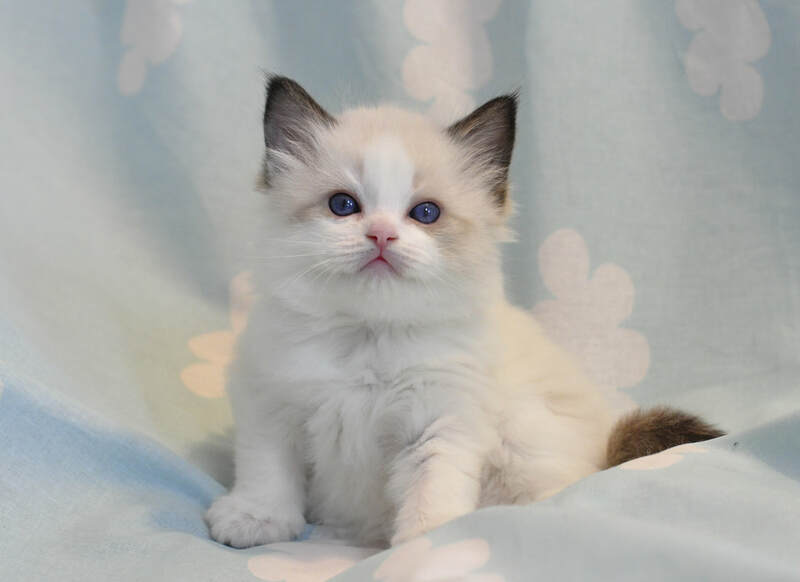 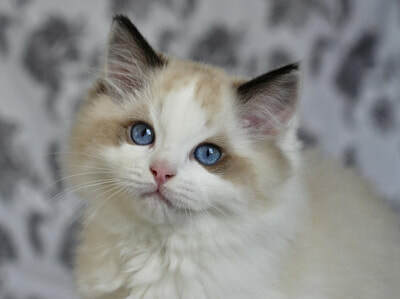 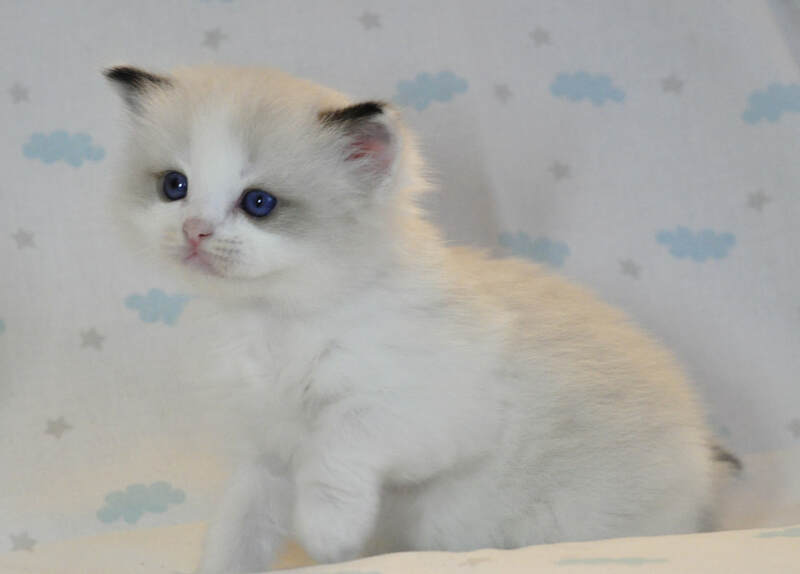 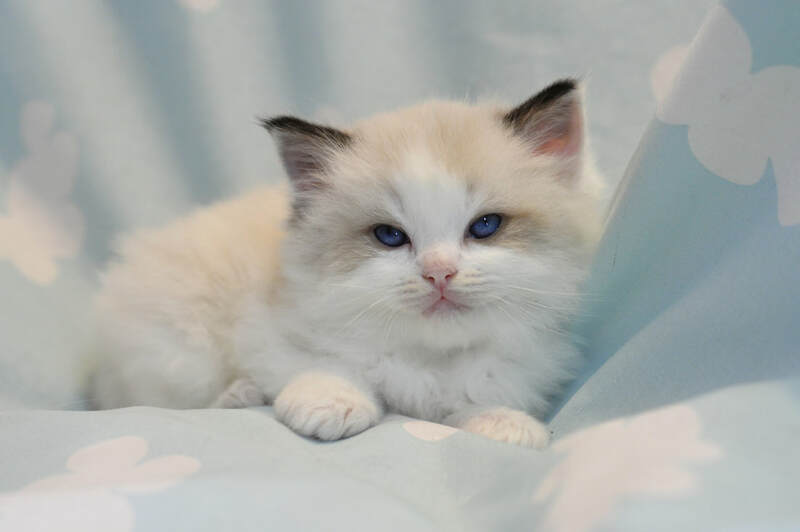 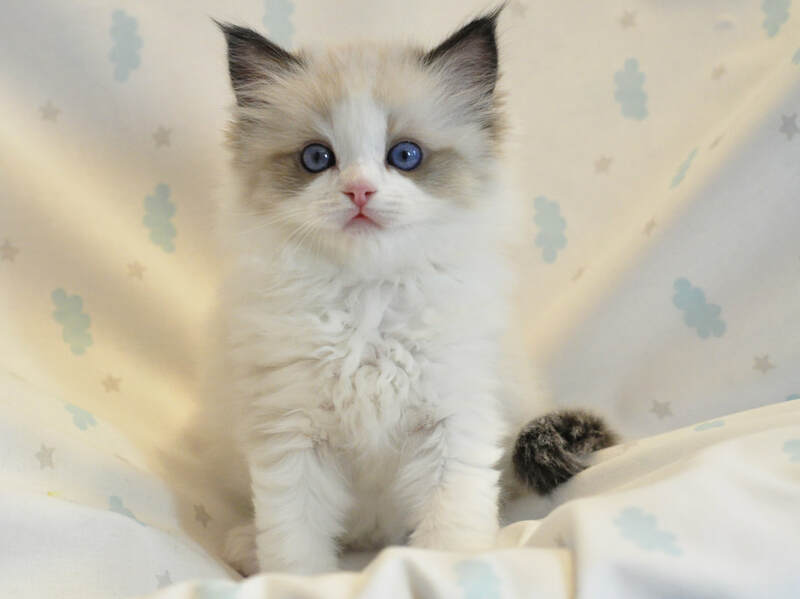 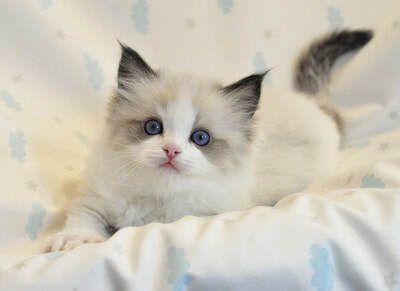 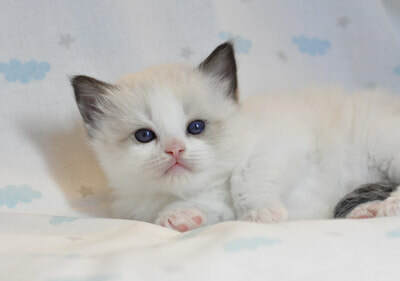 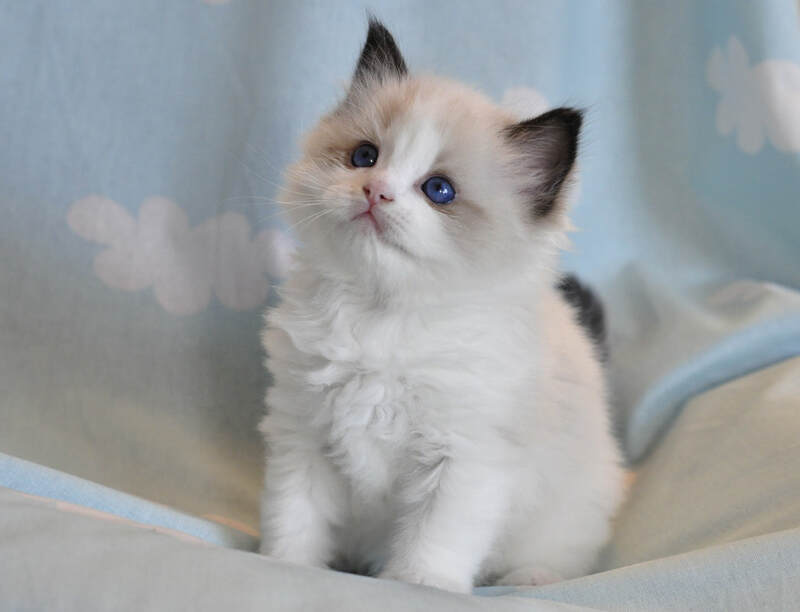 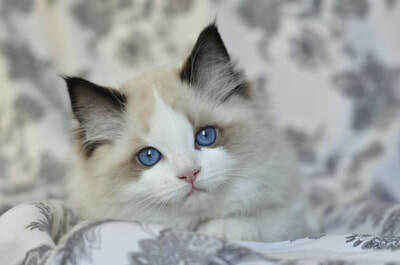 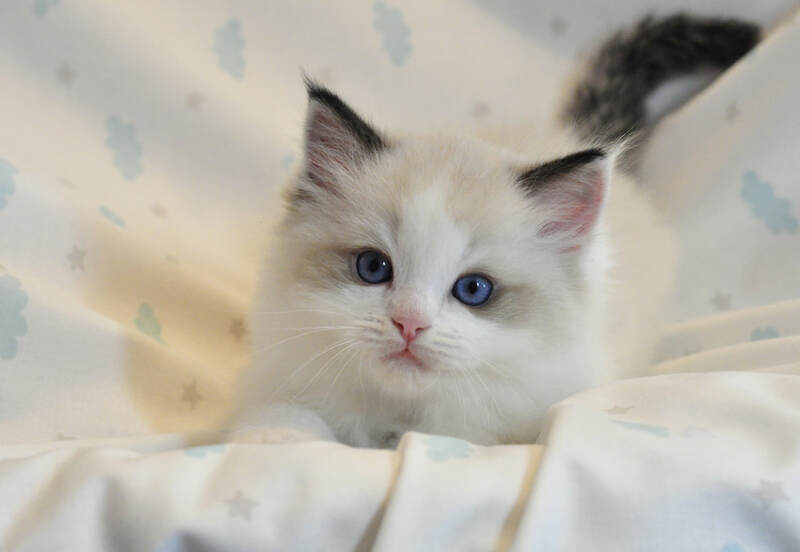 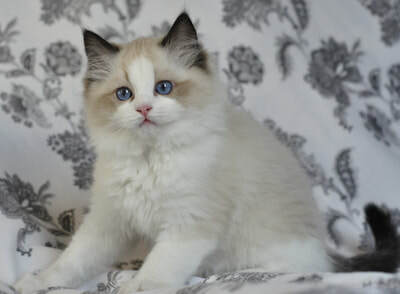 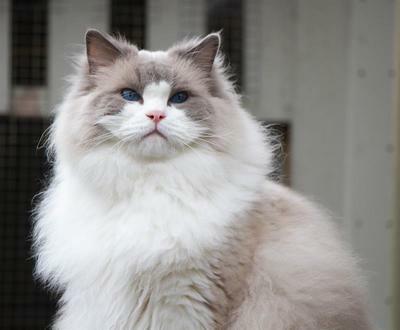 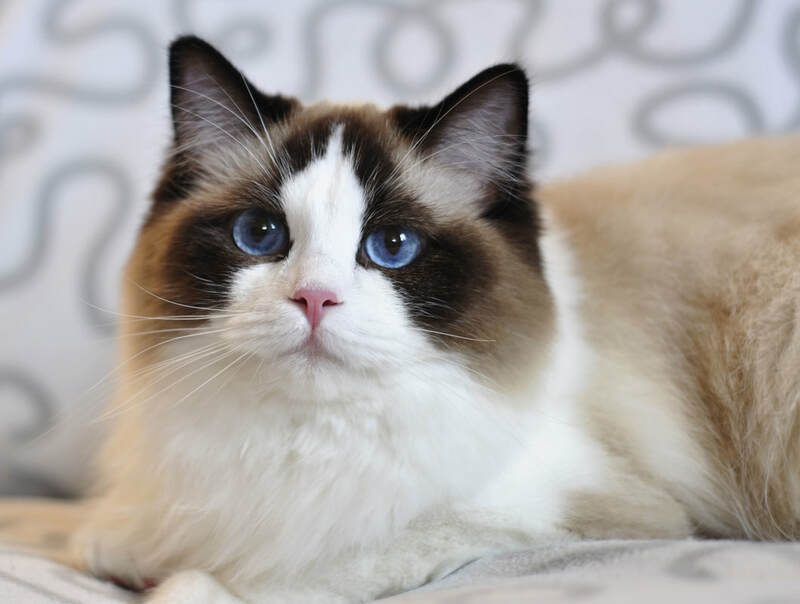 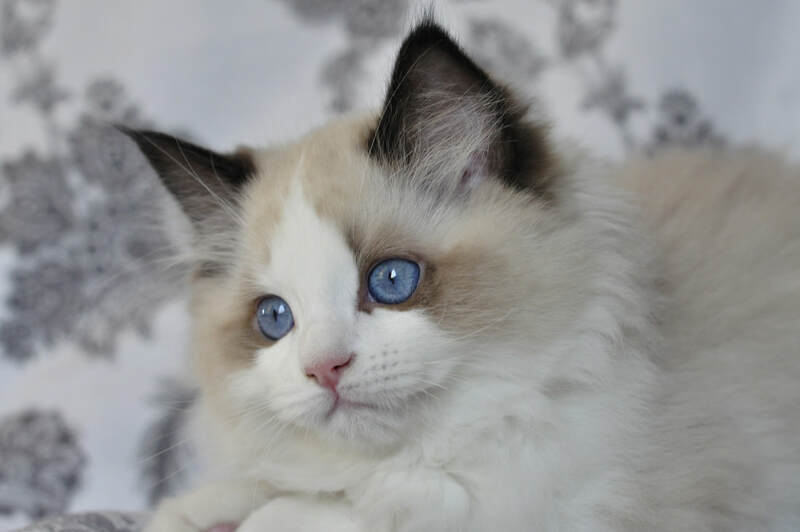 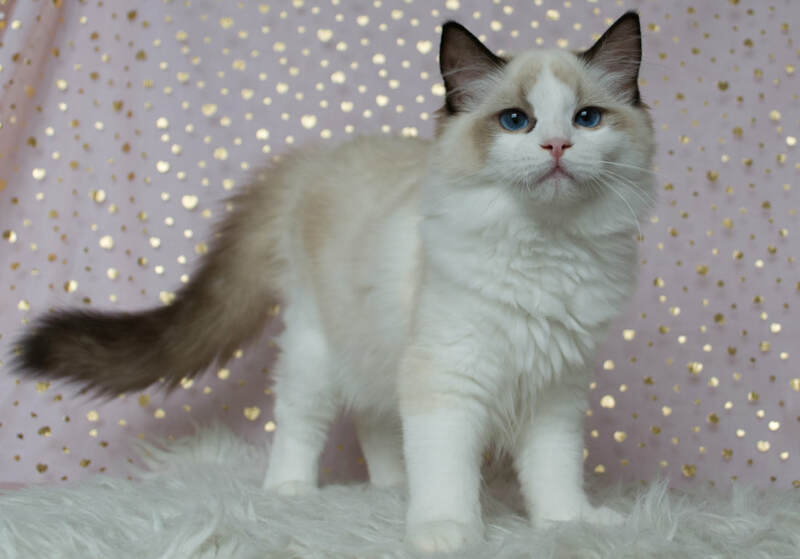 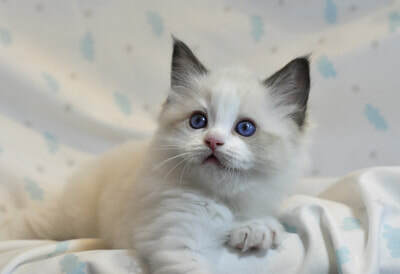 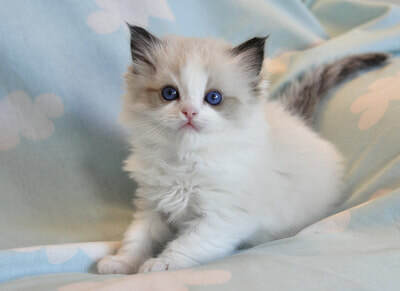 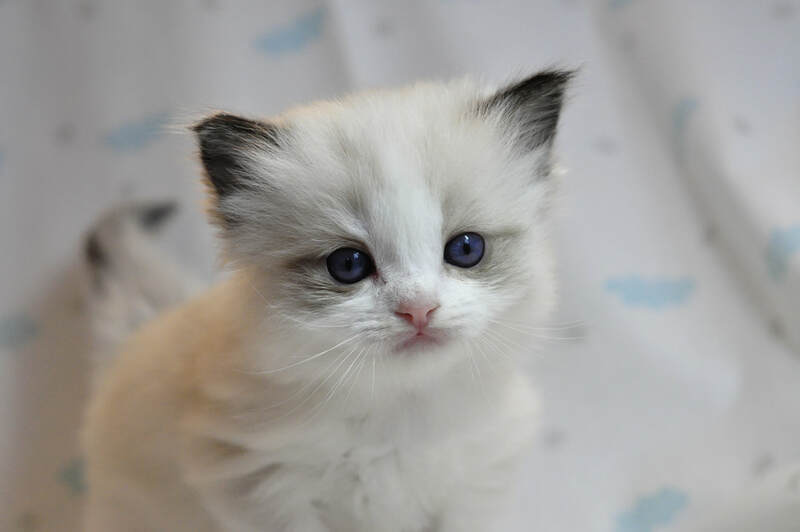 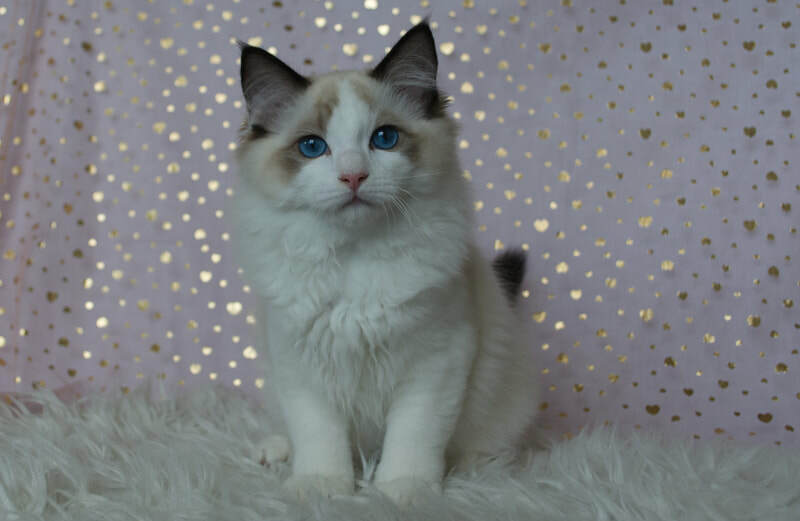 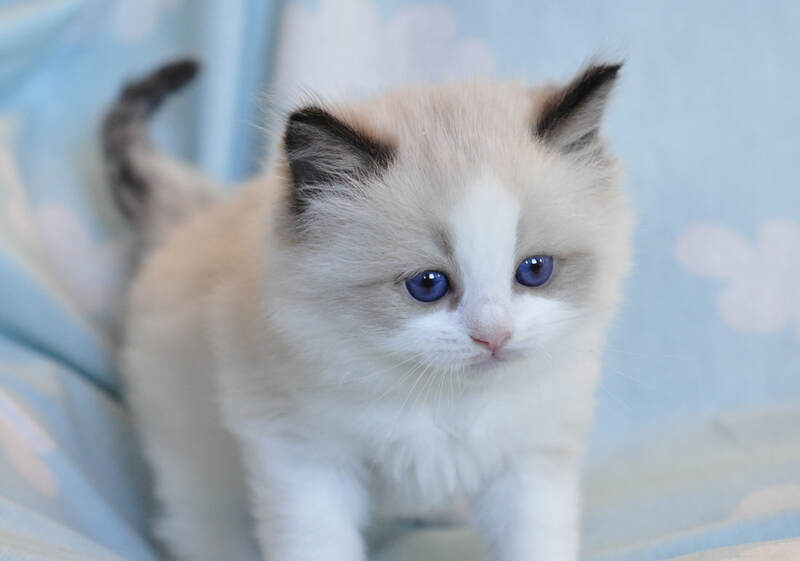 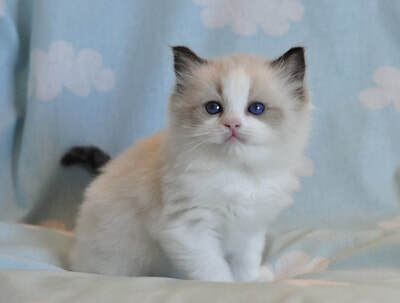 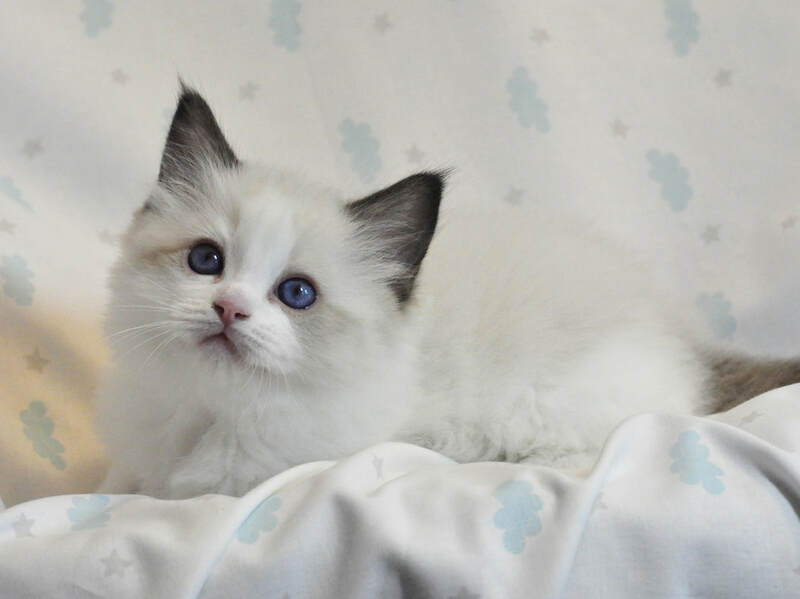 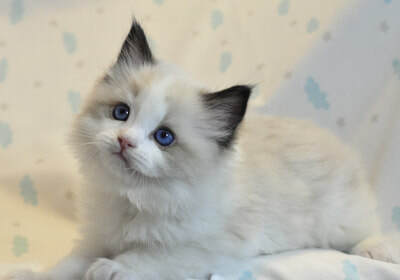 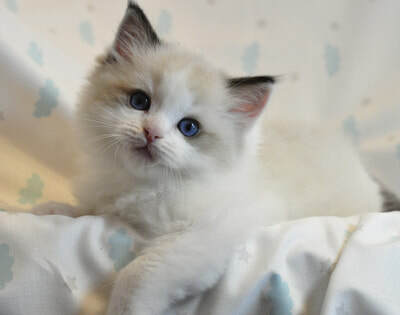 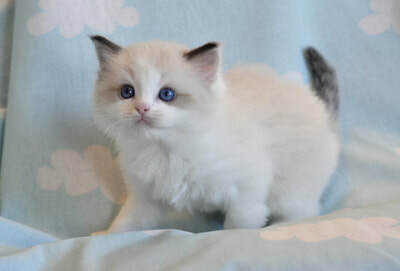 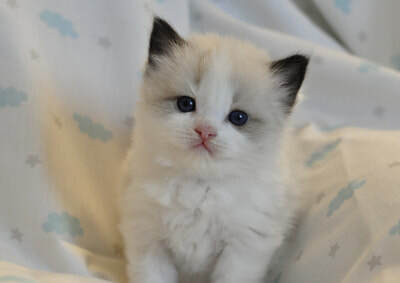 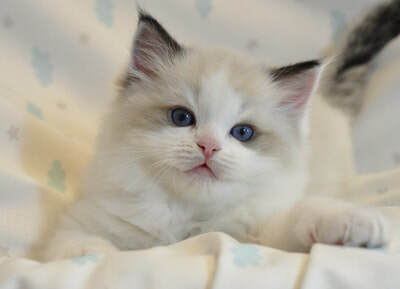 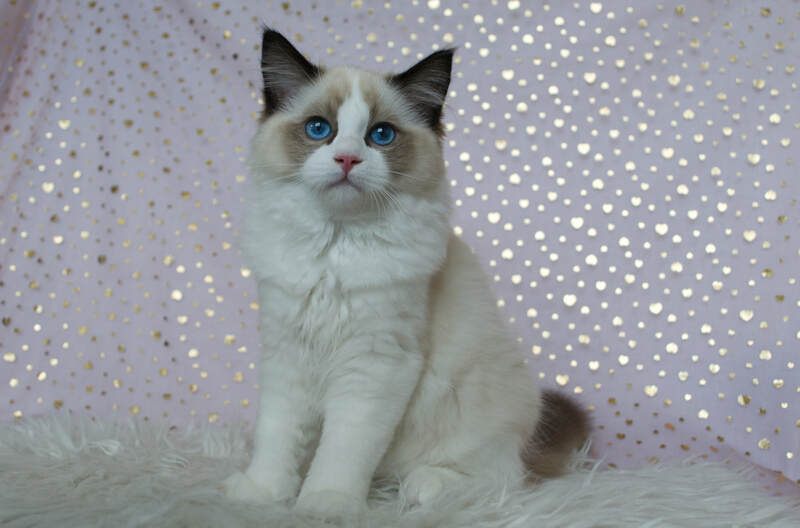 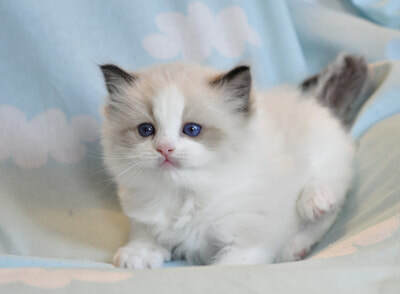 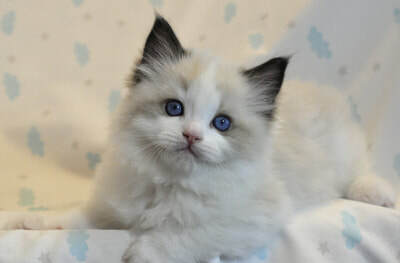 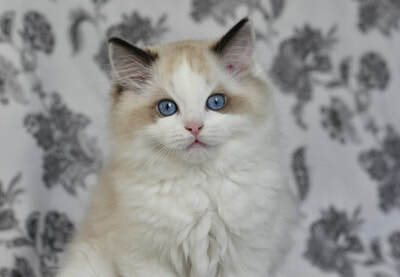 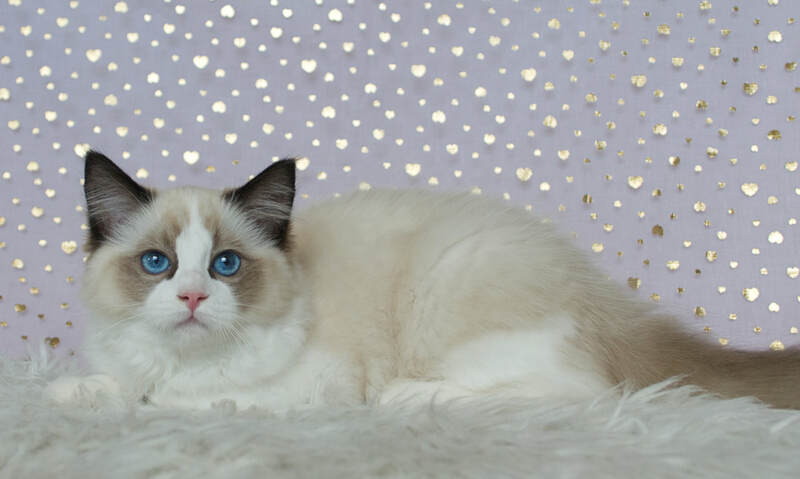 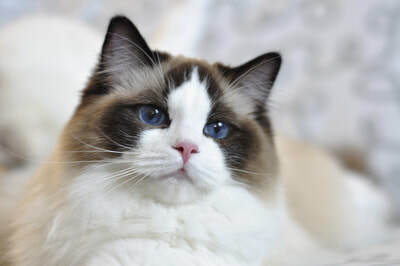 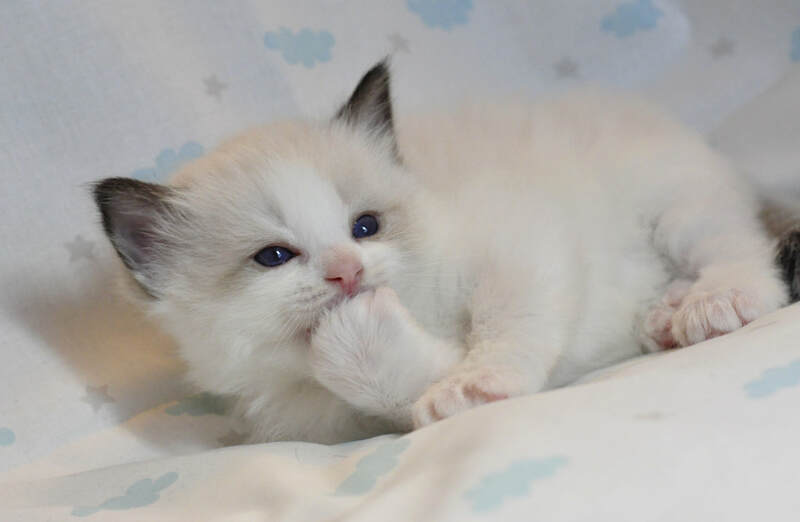 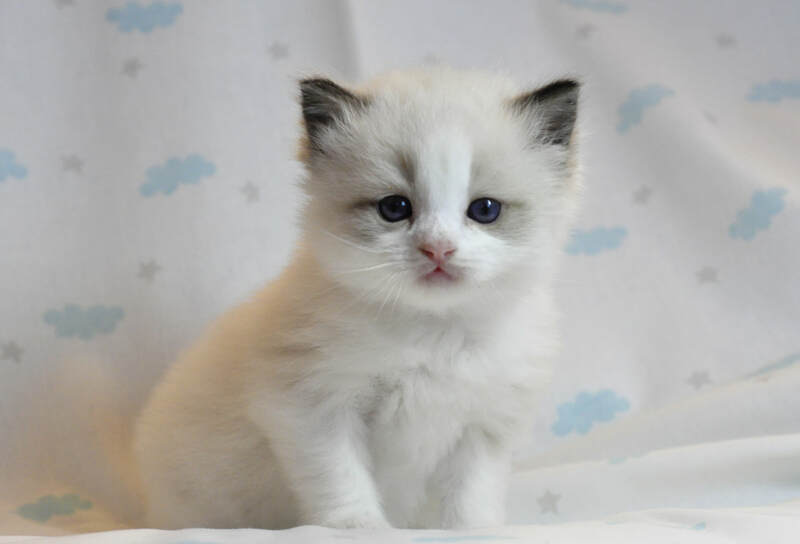 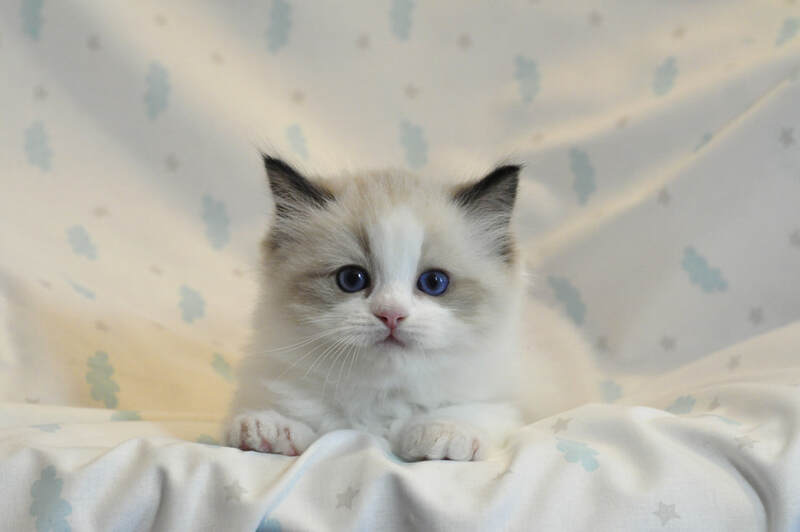 He also the most beautiful expression, and looks so much like his father ♥ Except for white edges on his ears, he is the perfect ragdoll baby in my opinion. 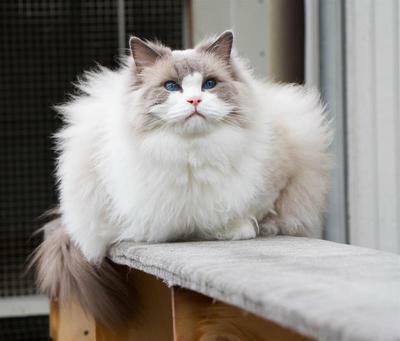 Fink is living happily as a neutered pet in Bærum outside of Oslo!